Thanks to the new Liesmichl the days of dog-ears and bookmarks are gone for good. Liesmichl is not only storage for paper backs. It also keeps the pages marked for you while you have something else to do. 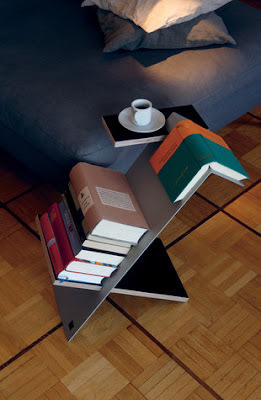 The upper horizontal tray can be used for a drinking glass or other “reading companions. Oh puh-leez. 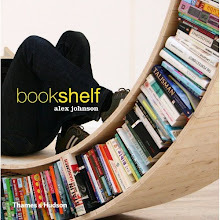 Do you actually *read* your books or do you just buy them as investments?